That’s why our Textile Gallery features special exhibitions dedicated to the work of some of the leading textile designers from around the world. Stop by for a coffee and learn more about the inspiration and creativity behind the latest global design trends. 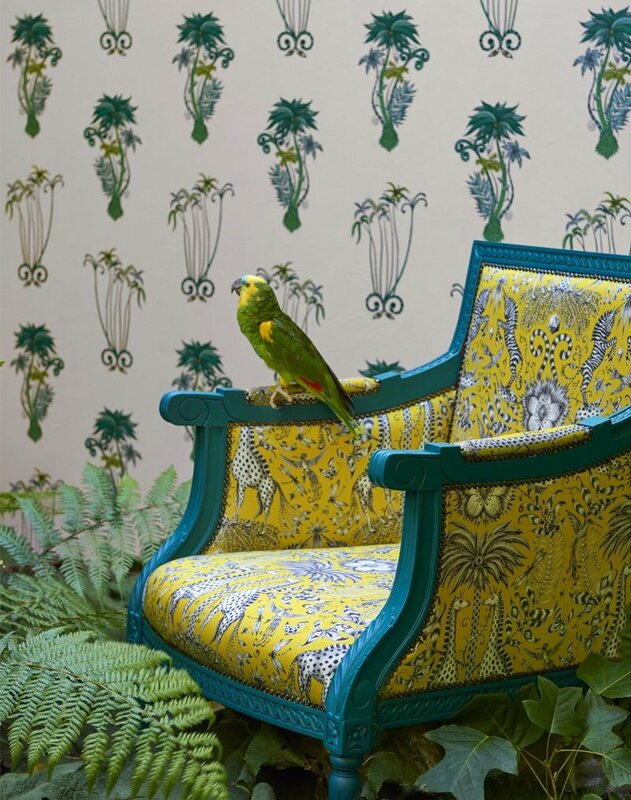 We are the exclusive Auckland suppliers of Louis Alexander Textiles. We also supply a wide range of leading brands of textiles, shutters, blinds and shades. 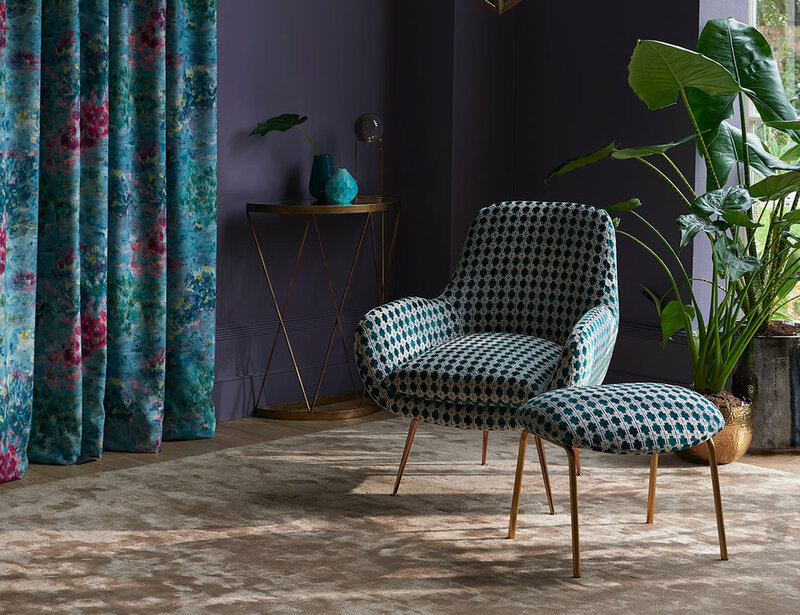 Founded in 1999 by Lee & Emma Clarke, Clarke & Clarke has established itself as one of the global leaders in the home furnishings market. Head office is located in Haslingden, Lancashire and incorporates over 7,000m2 of warehouse space and houses fully automated technology, ensuring high quality standards, efficiency and supreme standards of service. 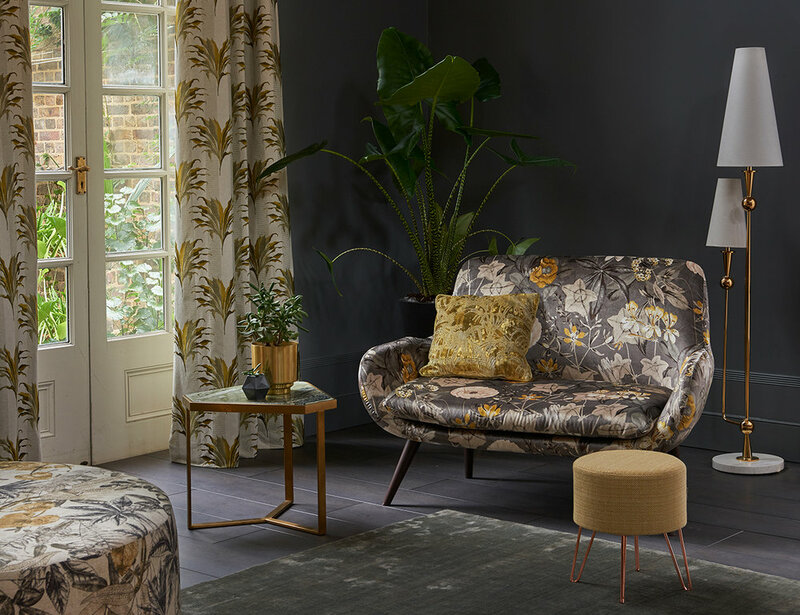 The site comprises integrated modern offices and a brand-new showroom which showcases its comprehensive range of furnishing fabrics, wallpapers, cushions, readymade curtains and bedding. 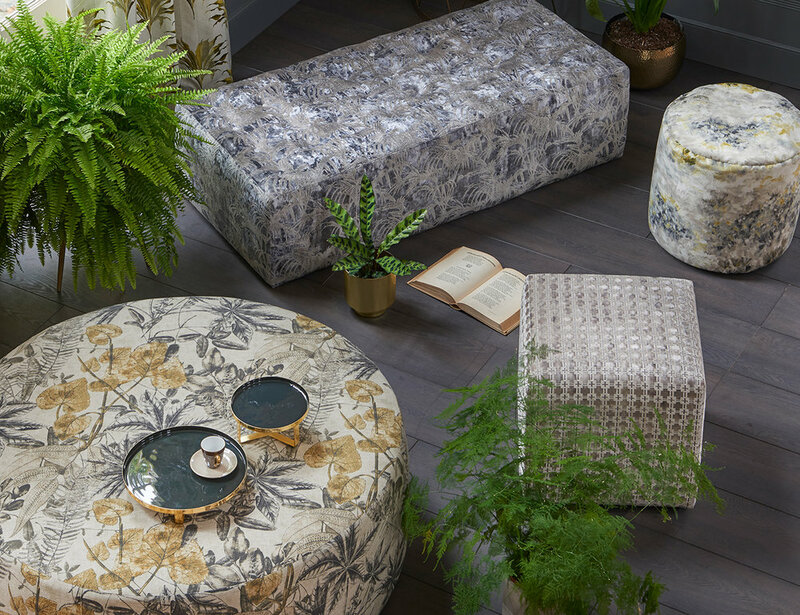 Based in a converted old church in Cheshire, the design studio is home to our talented team of designers, surrounded by walls decorated with art, mood boards, travel pictures and fashion photography providing the inspiration for collections. Visit the Textile Gallery to see and experience these amazing designs in person. Emma J Shipley is a graphic artist from the UK, who draws inspirations from myths, legends and the patterns and rhythms of the natural world. 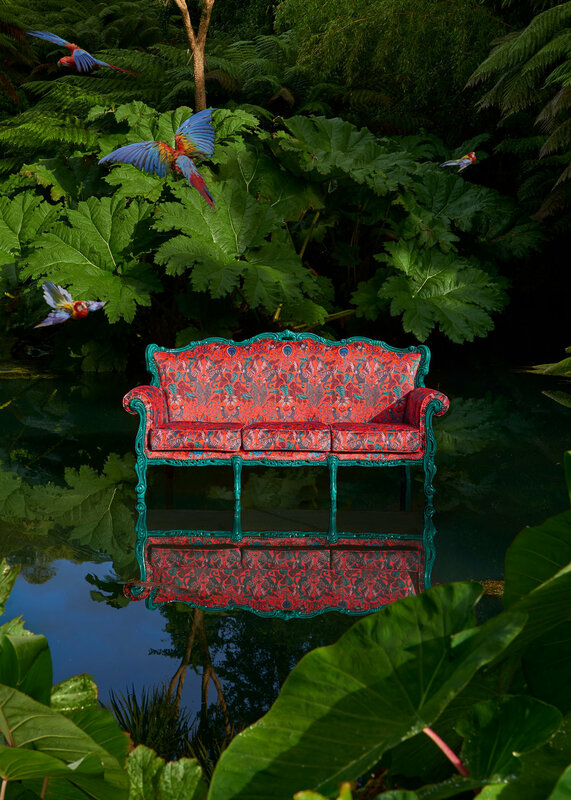 Her exotic jungle-inspired Animalia collection has a classical feel, yet the intricate designs feature beautiful, bold modern colours and hidden subversive details that will surprise and delight. 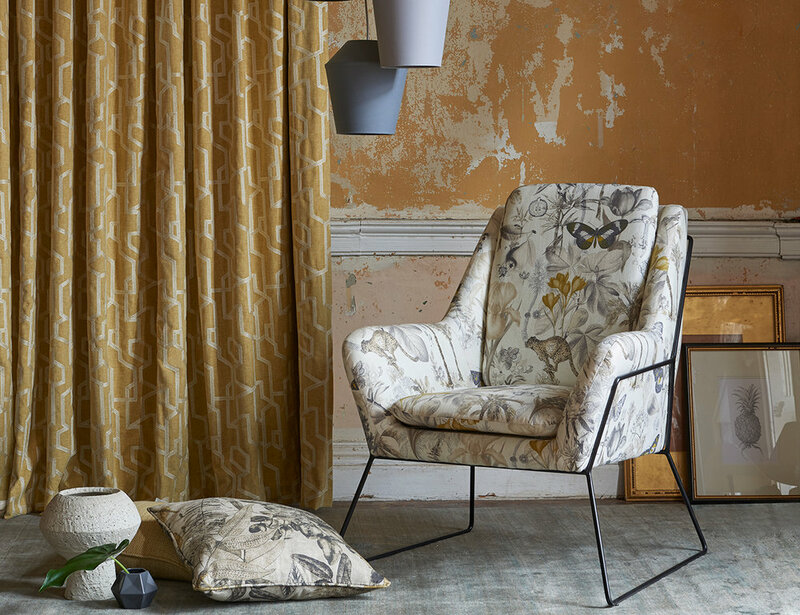 Each design is painstakingly hand drawn by Emma in pencil and then printed onto luxury fabrics and wallpapers. 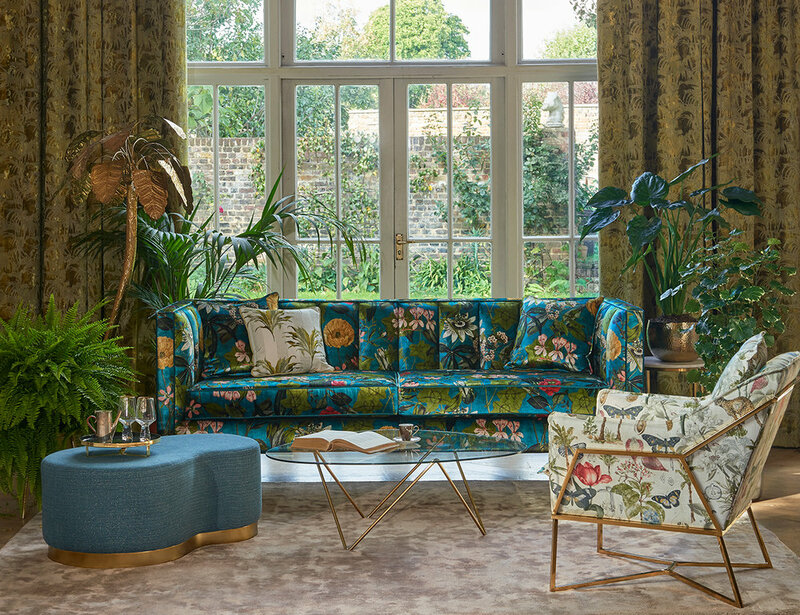 Her work is stocked in some of the world’s finest stores, including Liberty of London. Join our mailing list to stay in the loop about upcoming exhibitions and the latest design collections.